A Beef Bond is a Certificate that entitles the holder to a share in one of our acclaimed Hereford, Angus or Wagyu Cattle. On maturity, you’re guaranteed a superb return on your investment – a selection of delicious cuts of prime Tipperary Beef. Unlike normal bonds, Beef Bonds are a sure bet. Why? Because the maturity weight is predicted at the time you purchase the Beef Bond. This means, on maturity, we guarantee that the return will match your initial investment. But here’s the best bit. If you choose a long term maturity option and your animal exceeds original expectations, you’ll get a share of the extra bounty! Beef Bonds™ in Angus and Hereford cattle are €100 each, while Beef Bonds™ for the more exclusive Wagyu/Kobe breed are €150 each. 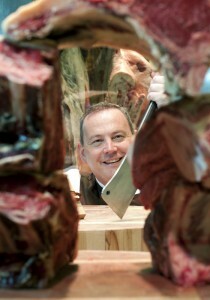 James Whelan Butchers are one of Ireland’s most successful butchers with shops in Clonmel, Dunnes Stores Cornelscourt, Dunnes Stores Swan Centre, Dunnes Stores Swords Pavillion, Avoca Rathcoole and Avoca Kilmacanogue. Click here to experience a Day in the Life of a Real Butcher! Your Beef Bond™ entitles you to the following cuts, 5lbs selection of Roast Joints, 3lbs selection of Steak Cuts, 3lbs selection of Braise/Slow Cook Cuts, 2lbs of a selection of Steak Mince & Steak Burgers. Selection of Offal, some marrow bones and some great stock bones. We keep in contact with all our Beef Bond™ holders, so you’ll be fully informed about every aspect of your bond. Enjoy the very best quality meat from our award winning farm directly to your table. Originally from Herefordshire, England, United Kingdom, more than five million pedigree Hereford cattle now exist in over 50 countries. Throughout its history the Hereford has maintained its distinctive white face and red coat. Herefords finished off grass produces excellent ‘marbled’ beef . It has a distinctive flavour and renowned eating quality. Herefords are well suited to forage based diets. Research at Bristol University has shown Hereford beef produced off grass and forage based diets, is high in the essential fatty acid omega-3 and has a distinctive taste. Herefords have a great temperament and are generally docile animals which makes them very easy to work with and results in great beef. Originally from Aberdeen in Scotland going back to 1700’s this hardy animal originally a work horse survives very well outdoors all year round and is a particularly docile animal. Aberdeen Angus are known throughout the world for their ability to consistently produce the finest high quality beef. The superior meat quality of Aberdeen Angus cattle comes from their ability to lay down intra-muscular marbling fat during the finishing phase, together with excellent tenderness, texture, flavour, meat colour and fat colour. Wagyu beef is fast becoming one of the most desirable meats in the world. Described as the Foie Gras of beef, Wagyu has become famous for its intense marbling which produces a tender, juicy, naturally enhanced flavour to the meat. The meat is high in omega 3 and omega 6 fatty acids as a result of its intense marbling. Wagyu is proven to be significantly lower in saturated fat and higher in healthy monounsaturated fat making it far healthier than any other breed of beef available on the market. 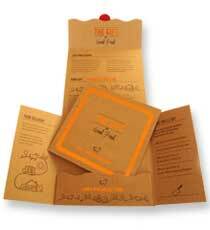 If you have your Beef Bond™ Gift Voucher please click on the button below to redeem it. Only Beef Bonds™ that are purchased in Dunnes stores need to be registered here, all bonds purchased below are already pre-registered on our system. If ordering several bonds for several different recipients please order one at a time to enter the recipients name and details on each bond, or you can put it through as one order and contact us here and we will take care of it for you.